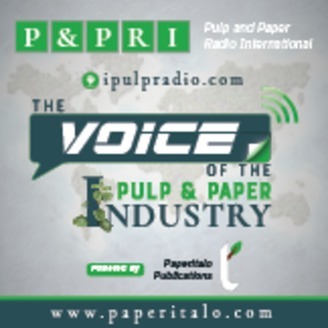 The pulp and paper manufacturing industry's first radio network. Brought to you by Paperitalo Publications, Duluth, Georgia, USA. The PM40 Daily Show is a wrap-up of how the PM40, the forest industry/pulp and paper stock index, fared today. We highlight the top winners, along with the top decliners. This PM40 update has been provided only as a courtesy to our listeners. Nothing said here is to be construed as financial advice. Always consult with financial professionals before taking action on market data from any source. Available on iTunes PM40 Daily Show Host: Brad Magee. Opening and closing audio by Chuck Swann. Copyright 2019 Paperitalo Publications. All rights reserved. onlypulpandpaperjobs.com globalpapermoney.com nipimpressions.com Paperitalo Publication's Pretty Good Pulp & Paper Mill Directories are available on Amazon.com. Just enter "press nip impressions" in the amazon.com search bar. 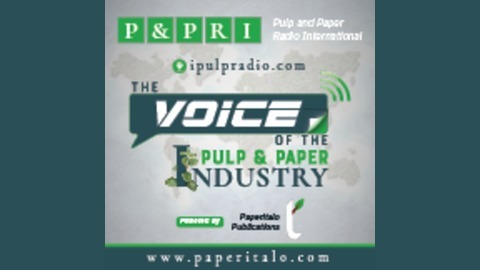 Click HERE to watch a short video about using the Kindle version of Paperitalo Publication's Pretty Good Pulp & Paper Mill Directories.